Created by humanity to defend Japan against Godzilla's depredations, Mechagodzilla has gone on terrible rampages that could only be stopped by Godzilla himself! 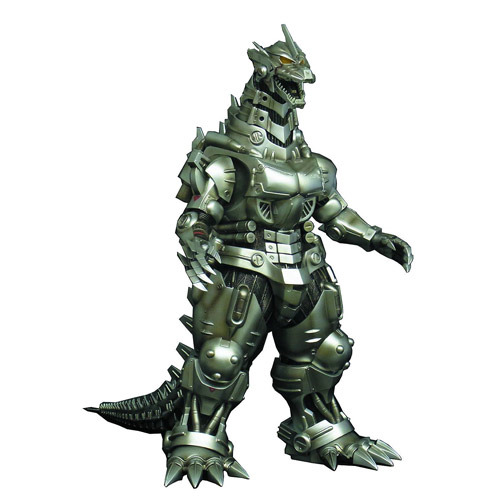 This vinyl figure recreates Mechagodzilla as he appeared in 2003's, Godzilla S.O.S. and stands 12-inches tall. Ages 15 and up.